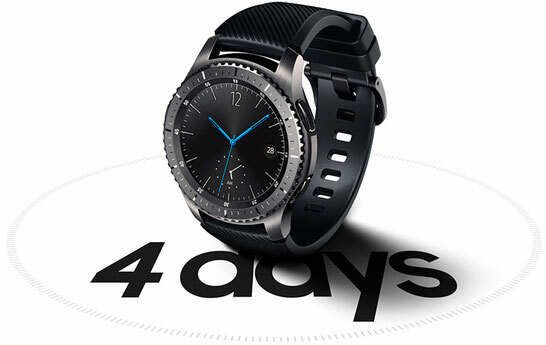 Gear 3 Frontier - a new smart watch from Samsung, combining classic design and the latest mobile technologies, including protection against water and dust according to the IP68 standard, built-in GPS, and the Always On Display feature. Gear 3 Frontier is equipped with a powerful dual-core processor with a frequency of 1 GHz, 768 MB of operational and 4 GB of internal memory. The clock supports Bluetooth wireless technology 4.2, Wi-Fi b / g / n, NFC, A-GPS / GLONASS, and also supports the ability to make MST payments. 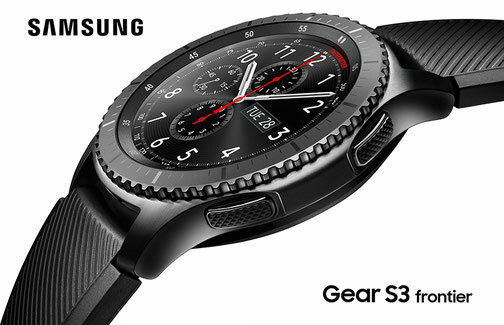 Gear S3 Frontier received a metal case with a black matte finish and a sports silicone strap. This watch is suitable for people leading an active lifestyle. 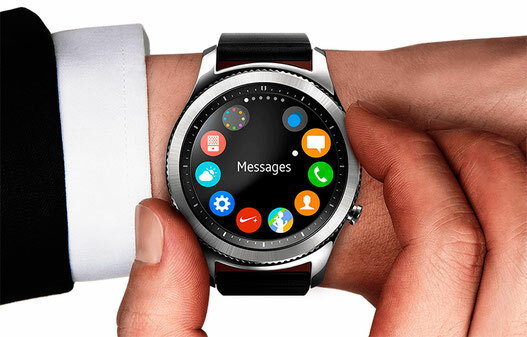 Controlling with a rotating rim around the screen will help you receive calls, respond to messages, create short notifications, schedule, etc. Even without touching the screen. 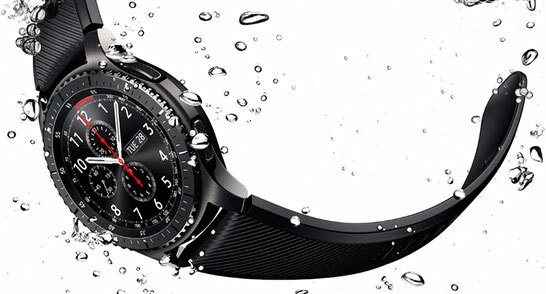 The watch is protected with a tempered glass Gorilla Glass special version SR +, and also have protection against water and dust according to the IP68 standard. 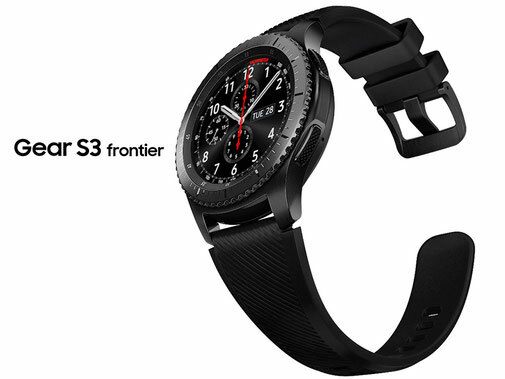 Built-in battery Gear S3 Frontier enough for a long time without recharging. Go on a small trip leaving the charger at home.